The term “realignment” gets thrown around casually, sometimes suggesting nothing more than “something big is happening.” But the term has a more precise meaning—indeed, it must have a precise meaning in order for it to mean anything. A realignment is predicated on three things. First, there has to be a dramatic and permanent shift in the party coalitions. Second, the shift in coalitions needs to usher in an extended period of party control. Third, the shift in control needs to bring about a notable shift in policy. One can see how the “New Deal coalition” approximates this definition, since it ushered in decades of one-party dominance in Congress, particularly in the House, and brought about not only the New Deal but arguably the Great Society. 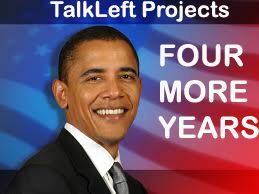 No such thing has happened since Obama was elected in 2008. It is true that the demography of the country is changing slowly, and groups that have tended to vote Democratic are becoming more numerous. So the Democratic party coalition has the potential for continuing growth. Will that growth translate into enduring power and policy change? It certainly didn’t in 2010. Yes, the 2010 electorate was not the 2012 electorate. But that’s the point: a realignment doesn’t take midterm elections off. There are many stories to be told regarding last night's results. But the most important politically is the Emerging Democratic Majority has now fully emerged. In a political climate where an incumbent President should have been vulnerable, the continued growth of the non-white electorate and its allegiance to the Democratic Party is the story today. Coupled with the fact that even among white voters, Republican appeals is concentrated among older white males, the future should be progressive. But delivering good policy now is essential. More on what that means later this week. I'd like to give some props to the Denver County Sheriffs. 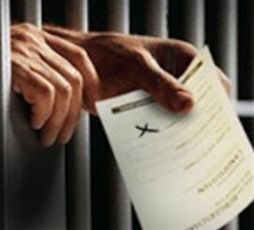 A few weeks ago, I asked them if the eligible inmates (those in pre-trial detention or not convicted of a felony) would be allowed to vote and was told yes. We know in our hearts that for the United States of America, the best is yet to come. 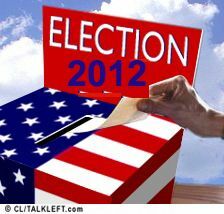 Thanks to every American who participated in the election. Those who waited in line to vote, we have to fix that. 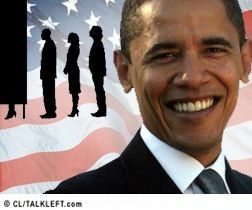 Update: 12:41 am: President Obama is leading in the popular vote by more than one two million votes. The best electoral college vote forecaster in my view: Nate Silver. The biggest sign that Romney failed to make his case, even on the economy: More than 50% of voters polled said it's not Obama's fault, he inherited it from Bush. 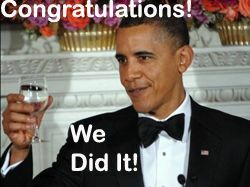 Update: 11:30 pm: Obama got 71% of the nation's hispanic vote and 50% of Catholic voters. Update 10:41 pm: Obama takes Virginia. 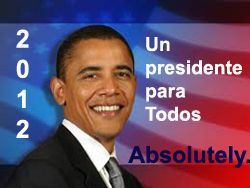 Total: 303 electoral votes for Obama, 203 or 206 for Romney. Update 9:19 pm: CNN just called the race for Obama. He will take Ohio. Obama takes Oregon. The other networks do the same. The Denver Post calls Colorado for Obama. Amendment 64 passes. 8:38 pm: The networks aren't quite ready to project the winner, but I am. I think Romney is out of options, regardless of Florida. It's not going to be a very late night. Update 8:14 pm:Romney's in trouble. Obama has PA and NH, and he may get Iowa. Obama is leading in Ohio including Cleveland, Cincinnati, Toledo and Columbus. He's also leading in MN. Florida and VA may not be enough to save him in the end. 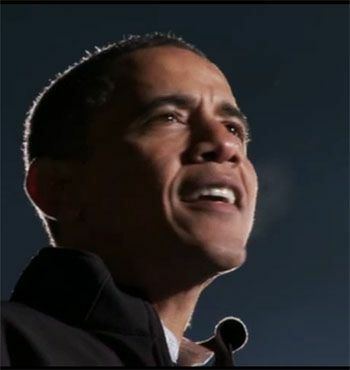 Colorado: Obama has 74% in Denver, and 70% in Boulder. Adams County: 59k for Obama and 44k for Romney. Romney thought he could make a big dent in Adams and Arapahoe and he didn't. Obama is winning in Jefferson County. Update: 7:47 pm: Elizabeth Warren wins MA senate seat. There is almost no chance Republicans regain the Senate. Update: Congratulations, Colorado. Amendment 64 has passed. Update 8:00 pm: Amendment 64 is winning with 64% of the vote with 42% counted. Follow on Twitter. Update 5:30 pm (MT): The exit polls must be good in Colorado. All three local news stations are prominently featuring Amendment 64 -- more coverage than it gave the measure all year. There are three three statewide measures: Colorado, Oregon and Washington. Colorado's initiative is a constitutional amendment that would legalize and regulate. Washington is a decriminalization bill. Oregon's initiative is legalization with some different twists. It's Election Day! And Daily Kos Radio, in conjunction with our great friends at Netroots Radio, will be providing comprehensive coverage all night long, starting at 6 p.m. Eastern. Can't see the Flash player? Click here to download the stream directly. Need more info on how to listen, or how to call in to the show? Find it below the fold. The campaigning is over. It's now time to vote. President Obama will be in his home town of Chicago. The final result could come down to Ohio, Florida, Virginia, or Colorado, or some other battleground state. Which means, it really comes down to each of us. Please don't forget to vote. 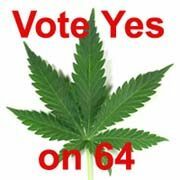 Two polls this week show support of 50% or more in support of Colorado's Amendment 64. The PPP poll is here, showing Amendment 64 leading 52% to 44%. It needs a big turnout. 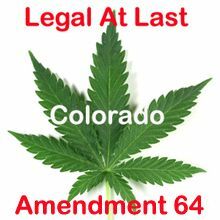 If you are a Colorado voter, don't forget to vote for Amendment 64, for the reasons I listed here. Tomorrow night, when the results begin coming in, check out this handy New York Tinmes interactive, 512 paths to the White House. It shows you each candidates ways of winning after states have been gained or eliminated. Pretty cool. You can start playing with it now. I love getting to part where it says Obama has 2 routes left, Romney none. It may be more accurate than many of the pundits. It's Election Day! And Daily Kos Radio, in conjunction with our great friends at Netroots Radio, will be providing comprehensive coverage all day and all of the night. It's starts this morning as I sit in for Kagro in the Morning, which returns for post-election breakdowns and deep thoughts on Wednesday morning in its usual 9-11 AM ET slot. I'm LIVE at 9 AM, thanks to NetrootsRadio.com. After Netroots Radio programming carries you through the rest of the day, Daily Kos Radio and Netroots Radio return at 6 PM ET for our special Election Night coverage, as the first polls in the nation close in Indiana (Down goes Mourdock! (Fingers crossed)). Fripp will guide us through and you will hear from Greg Dworkin for an overview on what to expect and look for Election Night, Denise Oliver Velez, Dopper, Adam Bonin on what's happening in Pennsylvania, and much much much more. President Obama's final campaign rally is in Des Moines, IA tonight, with Michelle Obama and Bruce Springsteen. It begins at 9:30 pm CT (10:30 ET, 8:30 MT). You can watch live here. Or on C-Span.